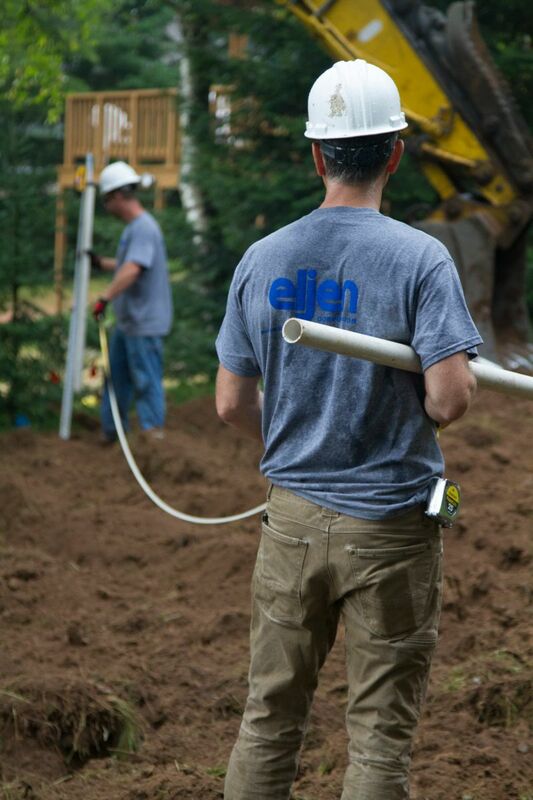 Eljen Corporation has over 35 years of success in the onsite wastewater industry. Our products are recognized by regulatory officials and experts in the industry as some of the most reliable wastewater treatment technologies in the marketplace today. Our main product lines are alternative drainfield or leachfield technologies, meaning that they come after a septic tank to disperse wastewater. Our products are used typically when there is not enough space for a conventional stone and pipe system, or if a certain treatment level is needed. The system area depends on how many bedrooms your home has, state or local regulations, and site characteristics (what kind of soils, where the water table is, and if there is another limiting factor like bedrock/ledgerock). To keep your Eljen system in good working order, you should have your septic tank pumped as needed (typically every 3 years). More "Dos and Don'ts" for your system are below. To register your system, get a copy of the warranty and to download the Homeowner's Information sheet, click here. Having problems with an Eljen system, or want to ask us a question about your existing system? Call our main office at 800-444-1359, or submit an online request and a member from our technical team will get in contact with you. DO Use household cleaners sparingly in accordance with product labels DON'T Use commercial septic tank additives-they usually do not help and can harm your system instead! DO Learn where your system is and keep the area accessible for maintenance DON'T Use garbage disposals unless your system has been designed according to local requirements and our design guidelines.